Our range of portable/mobile gantries can be easily manoeuvred around your work space and can be easily disassembled and reassembled as and when needed. 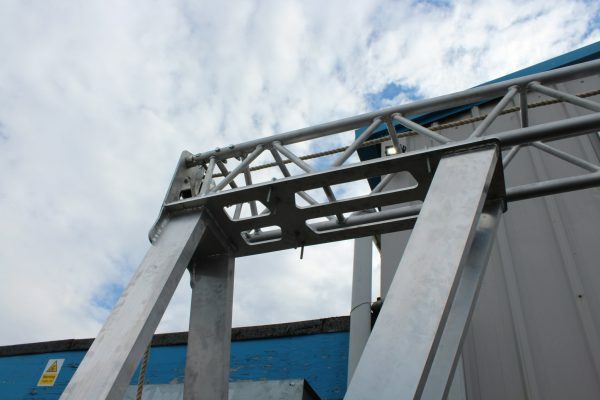 Mobile gantries are largely supplied as a standard configuration but can also be custom designed and manufactured to specifically suit the customers intended application and unique requirements. 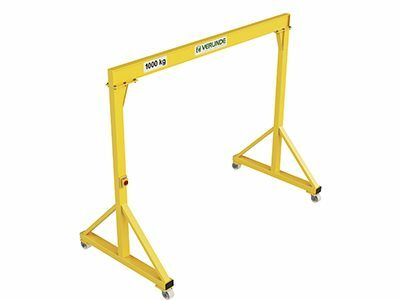 One of the most essential considerations you will need to make is the dimensions of the gantry, which includes the overall length, height and width and should also take factor in any obstructions or limitations that may apply. 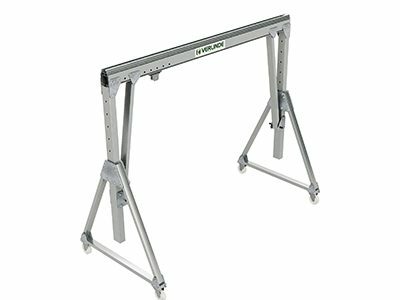 The internal dimensions of the gantry are of equal importance and will include the span and effective length, as well as the size and nature of the load and placement of the load. 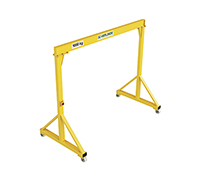 A mobile gantry is a free standing structure compromising a runway beam and two supports assembled in a goalpost-like configuration, The supports are usually mounted on wheels or castors to enable the structure to be relocated by man power only; they may however be mounted on free standing feet requiring the structure to be dismantled for transportation. 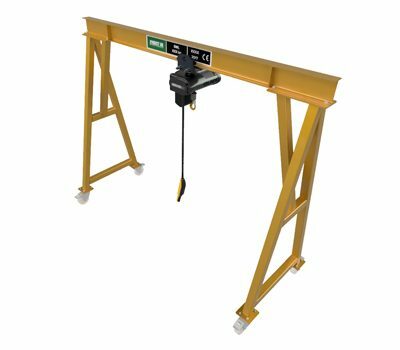 Our customer approached Hoist UK to enquire about our ability to supply a gantry crane with a 7m span suitable for working in a low headroom environment and an electric chain hoist with a 25 meter height of lift for their industrial application. 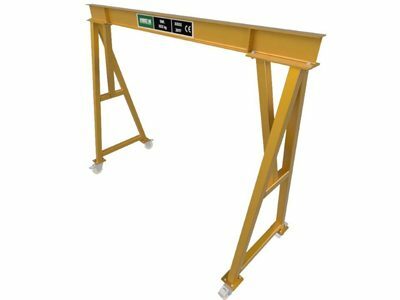 Our customer specified that the gantry crane should be easily dismantled and moveable by hand so that it could be transported in a lift on site, as necessitated by the customers operational requirements. The customer also requested the addition of a hoisting unit with a 25 meter height of lift which isn’t readily available off the shelf and would incur a longer production time and additional cost from the factory.